Walter Cho, president of Korean Air, was present at a ceremony at the Korean Air hangar to unveil Korea’s very first Dreamliner to the public. The aircraft which Korean Air is introducing will provide a whole new experience for passengers. The internal cabin pressure has been decreased to the equivalent of 1,800 metre altitude instead of 2,400 metre on conventional aircraft. Furthermore, the humidity level will be set in the 15-16 per cent range, which will significantly improve passengers’ comfort compared to the maximum humidity of 11 per cent in current aircraft. Korean Air is planning to utilise the aircraft for long-haul routes with high demand for leisure travel. 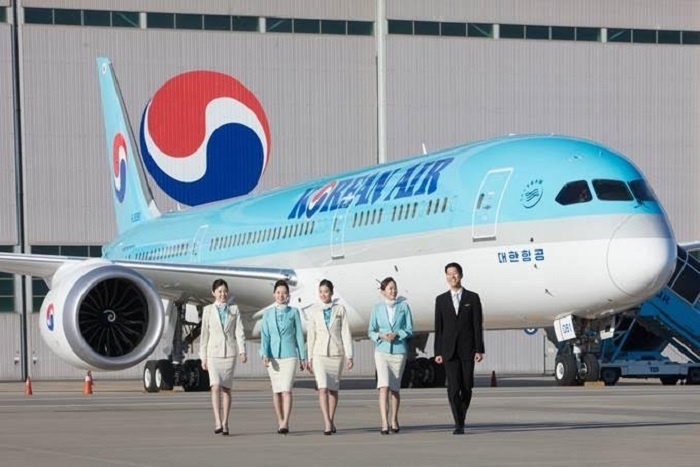 Korean Air’s Boeing 787-9 will be operated with a total of 269 seats; six first class seats, 18 prestige class seats and 245 economy class seats. Another noteworthy feature is the size of the cabin windows: they are 78 per cent larger than conventional aircraft, allowing passengers to have a better outside view. The manually operated window covers are gone and instead there are buttons to adjust the transparency of the windows in five different levels. A specially developed gel has been inserted within the windowpanes to control the transparency. ← Will the world’s largest ATC system ever be the most advanced?